UFO dubbed WTF crashes into Indian Ocean EARTH was today hit by a zooming UFO, but scientists remain unable to identify exactly what the mysterious object was. 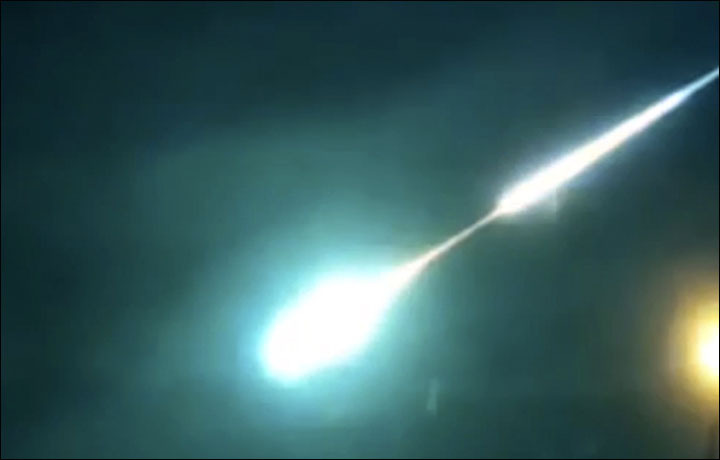 Mystery object dazzles in the sky over Siberia A meteor? A rocket? A military missile? An UFO? So far no explanation for the lightshow over Trans-Baikal. Rock legend visits New Mexico Rock and roll and reality TV star Ozzy Osbourne has been spotted around Roswell the past few days.